Cody: Well, who you got there, man? Ryan: Well, this is Jackson. Jackson Danger Eldridge. He’s my son. And so, he’s here to demonstrate some cool stuff for us to get kids off the couch for the summer. You know, because they’re just a bunch of slugs playing video games, just chilling out, right? When I was a kid, we used to dig ditches. Ryan: Yeah. We loved it. Ken would come over and he’d be like, “That’s a nice ditch.” And I’ll go, “Well, that’s a nice ditch over there.” So, first of all, let’s talk about UNICEF’s Power Band, as Jackson is wearing right here. 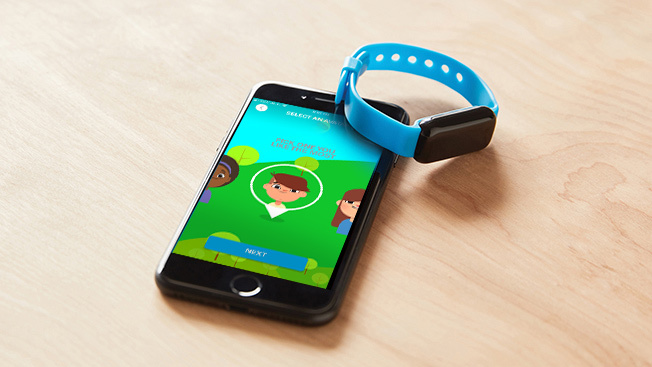 It’s kind of like a Fitbit for kids. It’s only $40, but the really cool part about this is the more activity they do, they can track it on their iPad. And the more activity they do, the more it feeds hungry children around the world. Cody: You did that. You did that. Ryan: They also have some “Star Wars” themes, which is kinda nice. That way, if you wanna play some “Star Wars” type UNICEF challenges, it gives you different little things like, you know, run them 20 miles, I don’t know. Just give you little challenges you can do. Kinda fun. Cody: Cool. I like that. Ryan: So, the next thing we’re gonna talk about is Geocaching. Cody: Oh, I love Geocaching. Ryan: Me and Jackson here went on a Boy Scout trip. We did some Geocaching and you just go to geocaching.com to register and it’ll show you all of the different places you can go. So, what do you do when you find a Geocache, Jack? Jackson: There’s usually little trinkets inside like these. And you usually bring stuff to trade in for them. So, if you trade in something, then you get to keep something that’s in the box. Ryan: And you sign a little diary on the inside that says what you found and what day, right? You put your name in there. That’s just kinda cool. So, geocaching.com will give you a map of everything. There’s places all over Sacramento. But we like the Cachly app. So, sign up at geocaching.com, but go to Cachly to get the app. So, that way, it makes it just a little better, the interface is a little nicer. It’s $4.99, but it’s well worth it. It’s like a whole day of fun. Ryan: And last, but not least, we’re playing video games right over there. So, this is the Switch that we’re playing. The Nintendo Switch. Oh, we got this on. The Nintendo Switch. And they’re playing “Arms,” which is kinda nice. It gets them off the couch, and instead of hitting each other, they’re hitting each other virtually, which is kinda nice. Ryan: And you can get other games, too. Obviously, the “Arms” is what we like. But you can also get something like Dance…What is it? “Just Dance?” We have 2017 and 2018 available. The nice thing is you can get these used at GameStop for just a few bucks, so you don’t have to spend a lot of money. So, buy the older versions. You don’t have to buy the newest, latest, greatest things. And “Arms” is the other one. Ryan: That is cheap, easy stuff. Get them off the couch. Make them dig some ditches. Ryan: Even if you don’t need a ditch, go to the neighbor’s house. Dig a ditch. You’ll be fine. Cody: And don’t ask their permission. Make it more fun. Make it more fun. Ryan: Because they’re gonna fill it in the next day. Ryan: Do you want to dig some ditches at home? Woman: How about go Geocaching? Ken: Get him his own big spoon. That’s how we did it. Dig ditches with a big spoon. Cody: Oh my god. Poking at you. Poking at you. After several weeks of Summer vacation, you may have noticed your couch has developed permanent child-sized indentations. Let’s face it – kids love their console games. While games are a lot of fun and may even be good for the kids in moderation, too much sedentary couch time isn’t healthy for anyone. 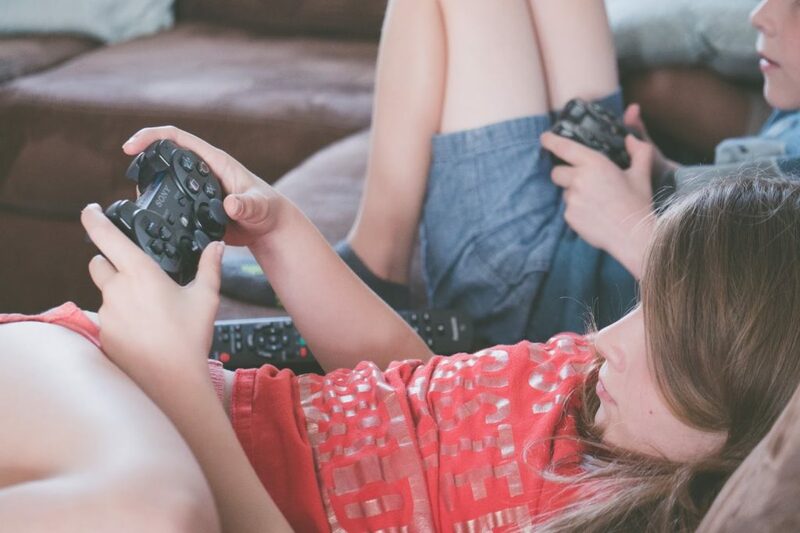 It can take some serious coaxing and coercion to prize the controller from your kids’ hands and send them stumbling into the sunlight like small, grumpy bears emerging from hibernation. But it doesn’t have to be that hard – not if you’re equipped with the right tech. Here are a few great tech toys that may convince your kids that physical activity isn’t all that bad after all. The Nintendo Switch is a gaming console with a difference. It’s made with families in mind, so many of its titles involve a lot more interaction than your standard, solitary games. So, that’s already a plus! Here’s the kicker though. They also work with a unique controller which detects physical movement. This has opened up a whole new breed of family games which involve getting up from the couch and moving about like a crazy thing. A great example is Nintendo’s 2017 light-hearted battle-fest, Arms. How to describe this ridiculously fun game? Imagine you’re a comical futuristic robot with gigantic slinkies for arms. Got that? OK now imagine you can bounce about like an inebriated penguin. Finally, now picture yourself frantically dueling with another slinky-armed robot in a variety of odd settings, from spooky laboratories to alien planets. This, in a nutshell, is Arms. Kids love it and better yet, all that flailing and hopping about gives them a great workout and they are none the wiser (shh, let’s keep that on the down low). Check out this YouTube vid of a family going crazy playing Arms. Another cool couch-busting option is Just Dance 2018. This game is as fun to watch as it is to play. The idea behind the game is simple. You choose a song and attempt to copy the dancer as accurately as you can. The better you get at the dance, the higher your score. The great thing about this game is the sheer variety of songs you can choose from. There are scores of songs to try. You can also dance individually or as part of a team. Up to six players can compete in an epic dance-off. It’s a complete body workout, a complete blast to play and often dangerously hilarious to watch. To give you a feel for the deal, we present “Beep Beep I’m a Sheep.” Don’t blame us though if you end up getting the tune stuck in your head! The Unicef kid power bracelet isn’t just a way to get your kids moving, it’s also a great way to teach them about kids in need throughout the world. Better yet, the bracelet is part of a scheme to deliver food aid to the 16 million children suffering from severe malnutrition in the world right now. The more active your kids are, the more needy kids get fed! Here’s how it works. The bracelet is a device which measures movement. It links to an app which records all kinds of physical activity, from sports to hiking, to just crazily dancing about (to “Beep Beep I’m a Sheep, for example). It all earns fitness points which Unicef rewards with food donations to children in need. What a neat concept! And a great way for kids to learn about physical activity and charity in one fell swoop. You can learn more about this program here and you can purchase bands online here. We’ve yet to find a kid who doesn’t say “ooooh” when they first learn about geocaching. 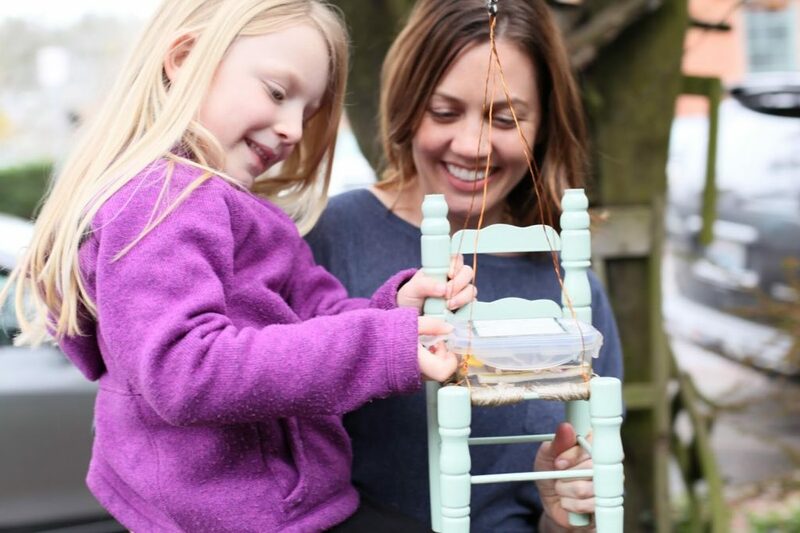 We’ve seen couch-bound kids transform into wide-eyed outdoors enthusiasts within the space of a few hours! If you haven’t heard about geocaching, prepare to have your mind ever so slightly blown. Are you ready? Right now, wherever you’re sitting, there’s a good chance you’re surrounded by hidden caches filled with “treasure.” They’re hidden throughout suburbs, cities, parks and open spaces throughout the world. There’s even a geocache hidden on Mount Everest! If you imagine a worldwide treasure hunt that anyone can participate in for free, you’ve pretty much got the concept of geocaching. The treasure isn’t valuable of course! They’re just fun plastic trinkets or other mementos. The real treasure lies in the sheer joy of following the clues and finding the prize. It’s incredibly fun for the whole family and a great way to learn more about your neighborhood and local parks. 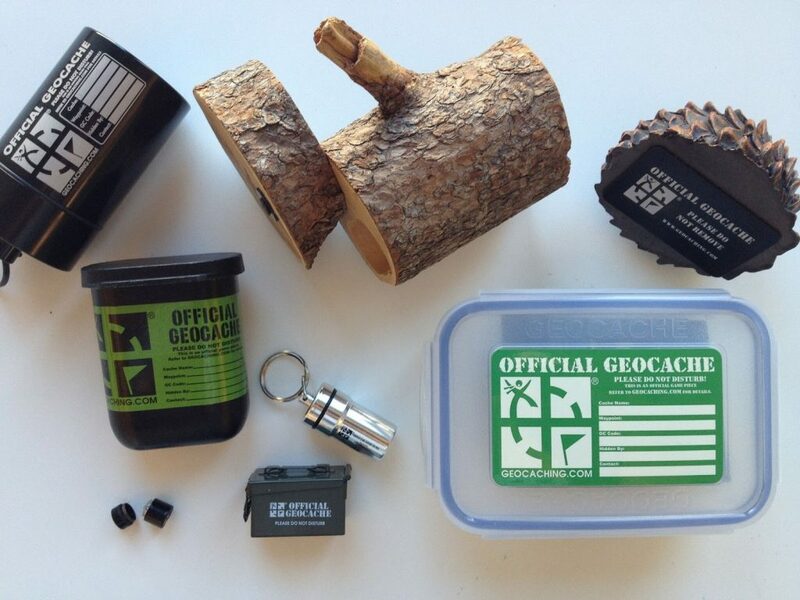 You can learn more about the coolness that is geocaching here. So how do you transform your couch potato kids into treasure hunters? It’s pretty easy actually. All you need to do is create a free geocaching account and then download the app to one or more smartphones. You’ll also want to grab some cheap toys or stationery. Part of the fun is placing some of your own treasure in a cache when you find it. Opening the app will reveal a map with the rough location of your surrounding geocaches. All you need to do then is choose a target, follow the clues and see what you find! For bonus points, keep an eye out for fellow geocachers while you’re on your hunt. You’ll be amazed at how many other folks are quietly searching for hidden treasure. It’s a great way to meet new friends and an incredibly fun way to make going to the park an adventure. Good luck, parents! We know finding a way to outshine those gaming consoles can be a challenge. Hopefully, these ideas will transform your couch zombie into an arm-flapping, “Beep Beep I’m a sheep” dancin’ outdoor adventurist.